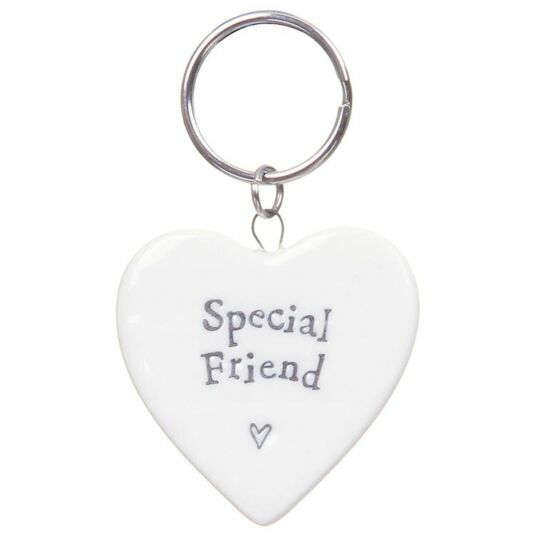 This delightful key ring is made of pale cream porcelain, which is coated in a translucent glaze. 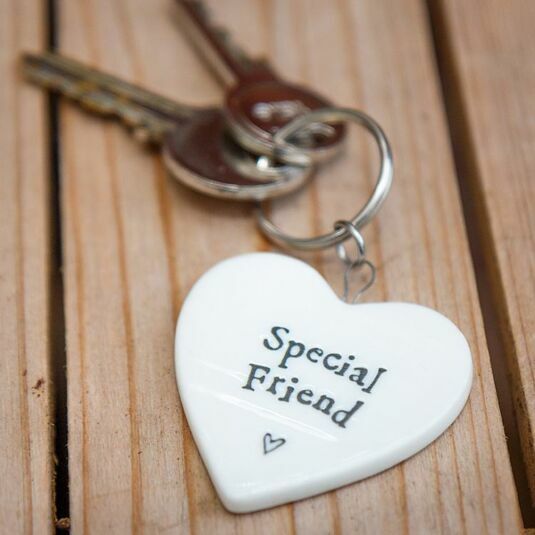 Stamped into the surface in grey are the words: Special Friend followed by a tiny heart outline. The heart is attached to a key ring. It would make a lovely gift, as a token of friendship or gratitude or tucked inside a card.